The much hyped (and now much politicized) story of California solar panel manufacturer Solyndra and its abrupt collapse necessitates we pause and learn about the true resilience of America's green economy. Headlines like "Solyndra Bankruptcy Dims Green Job Hopes," exaggerate the impact that the failure of one company (with what most agree was an unsustainable business model) will have overall. As someone who has spent the last two years researching where innovation is happening across many vibrant industries in the new, greener economy, I see a completely different picture. While interviewing innovators and entrepreneurs creating the change (and the jobs), I have learned how truly resilient and important these efforts are to our economy and our environment. 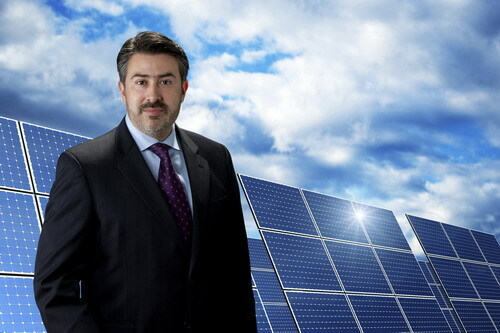 There's Luis Rojas, the accountant-turned-solar developer who is taking California public schools off the grid and simultaneously giving their operating budgets a fat raise. I've interviewed Sandra Artalejo, the fashion designer who creates "permanence from the disposable," a line of fashion accessories and lifestyle items from what others consider throwaways. There's Green Irene's Rosamaria Caballero-Stafford, whose national eco-consulting brand has launched over 700 small businesses. And there's Carmen Rad, an industrial designer and printer who has created a completely biodegradable product line so that traditionally wasteful large-format display printing jobs leave little to no waste for the landfill. Having access to and insight into these dynamic, exciting examples of environmental entrepreneurship is why I'm annoyed with the current obsession with Solyndra. I'm concerned about the inaccurate associations that overreaching headlines are creating in the minds of readers. For those wanting a piece of the clean tech/alternative energy pie, it's imperative to understand the sectors and sub-sectors that exist in this high-growth space. There is so much innovation happening beyond the solar sector: energy efficiency, solar, biofuels, energy storage to name a few. One of the best resources to help you understand this is Cleantech Group LLC and their taxonomy of industry segments. This is one of the many resources I share with students and those in career transition; this is an excellent resource to help audiences get the big picture on how exciting this space really is and how it will remain dynamic for many years. In the following weeks, I will share here specific examples of organizations innovating in the green economy, doing right by the planet, while impacting the job creation the nation so desperately needs. In doing so, it is my hope that we will shift the conversation away from simplistic, politicized, headlines about one failed solar company to the bright future ahead for today's environmental entrepreneurs and for those who will emulate them. Let's turn away from those wanting to focus the conversation on failure and questionable business models; let's instead do some learning about the opportunities in our diverse green economy today and what lies ahead. How about you? Are you bullish on our nation's green economy? Are you working in a green industry today? If not, are you working somewhere where new green jobs could be created if certain long-standing processes were questioned and new solutions created?